1. 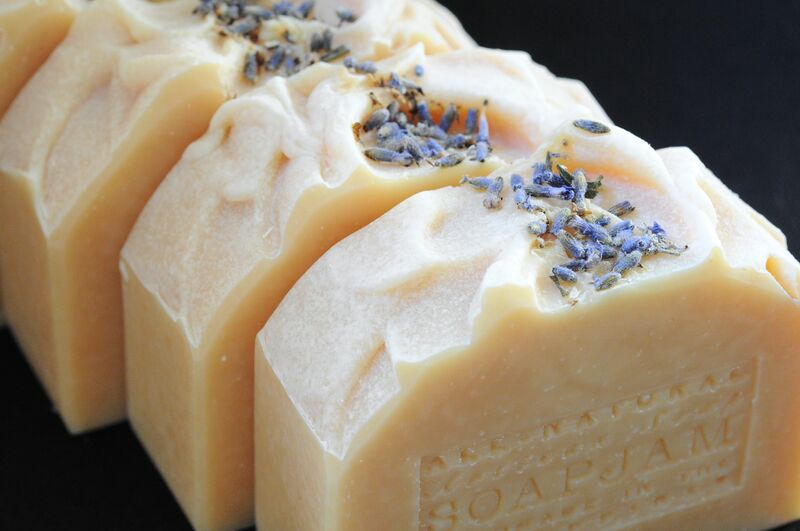 Lavender – soothing lavender with a small amount of litsea cubeba, rice powder and kaolin clay to help anchor the scent. The top is covered with soda ash, but I actually like the contrast. 2. 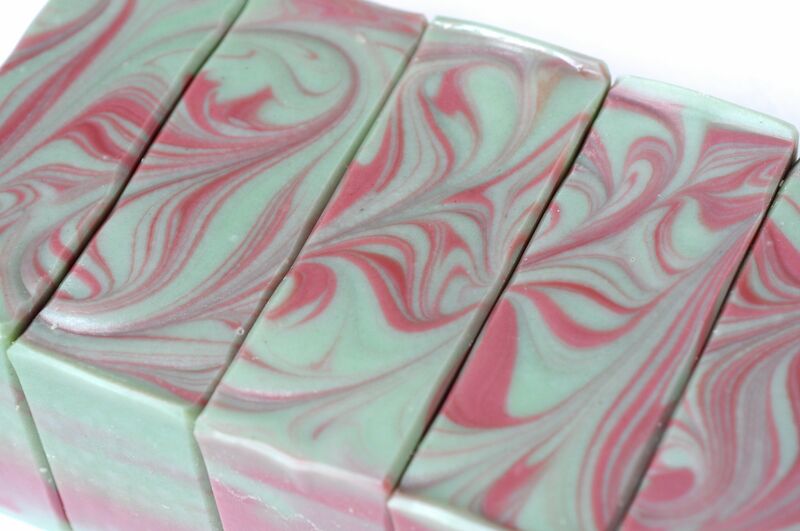 Peppermint oatmeal – finally, a pure peppermint soap! At 3% of oil weight, it is perfectly minty. 3. 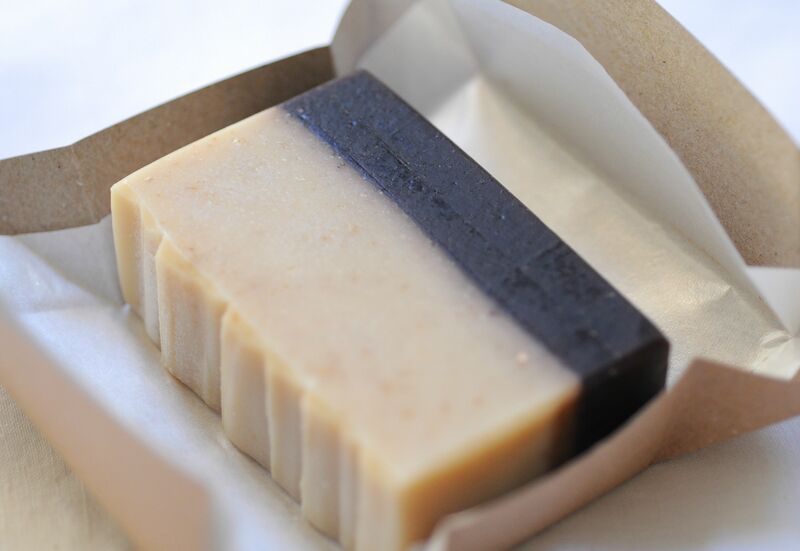 Honey Orange – a delicious classic pairing of honey, orange 5-fold, and blood orange. 4. 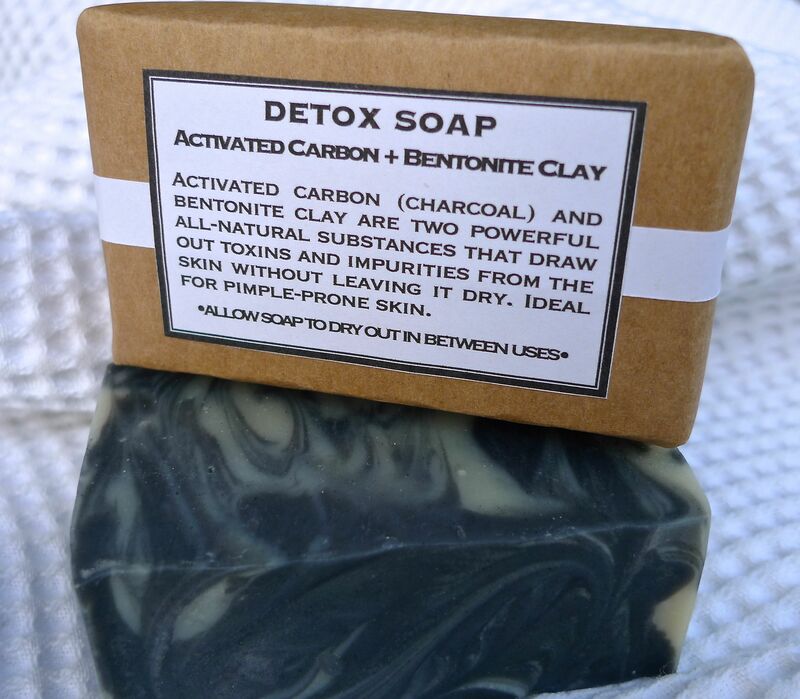 Fir and Eucalyptus with Activated Charcoal – I have not walked through a forest of fir trees, but I imagine this is what it smells like. 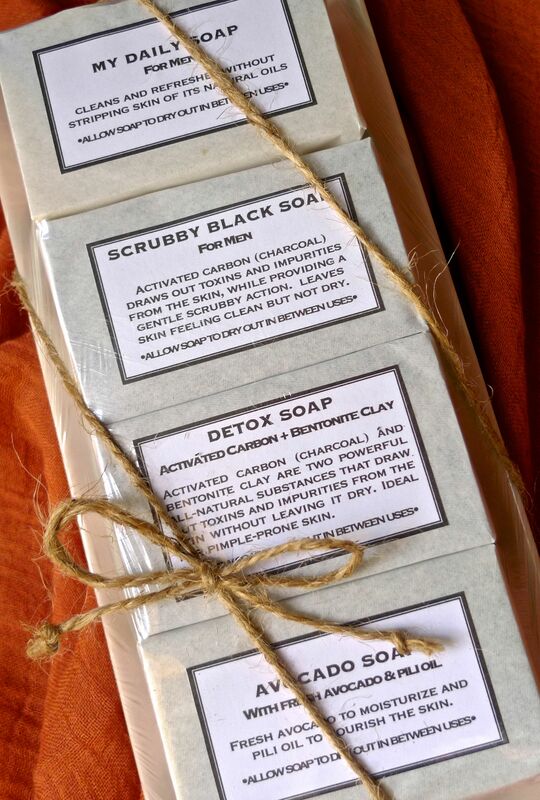 I adore the fresh, outdoorsy scent. 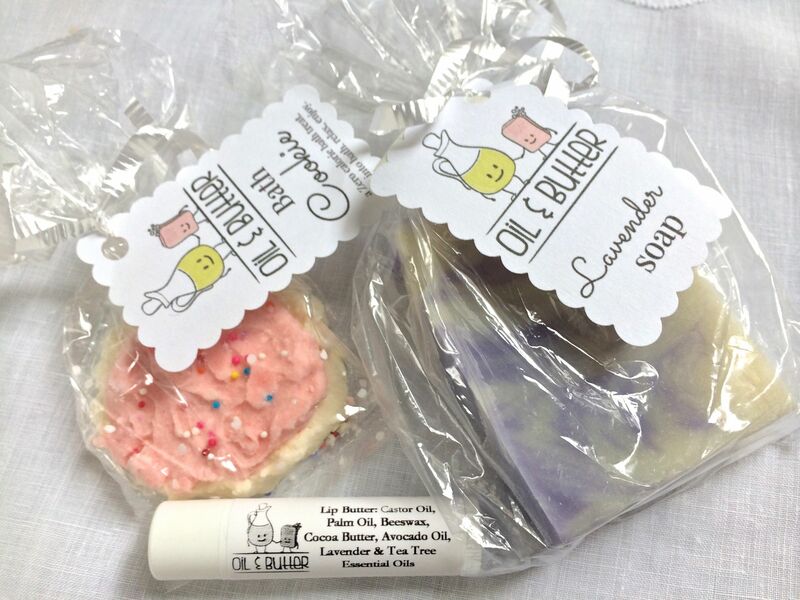 It is a proprietary blend of 6 different essential oils. 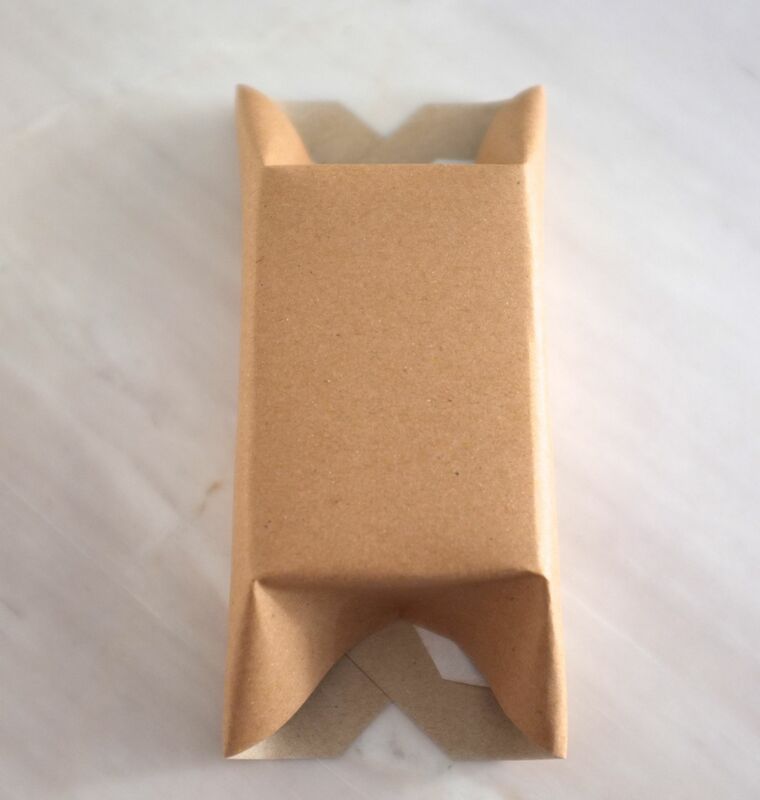 Recently I’ve switched from using paper to plastic for wrapping my soaps. 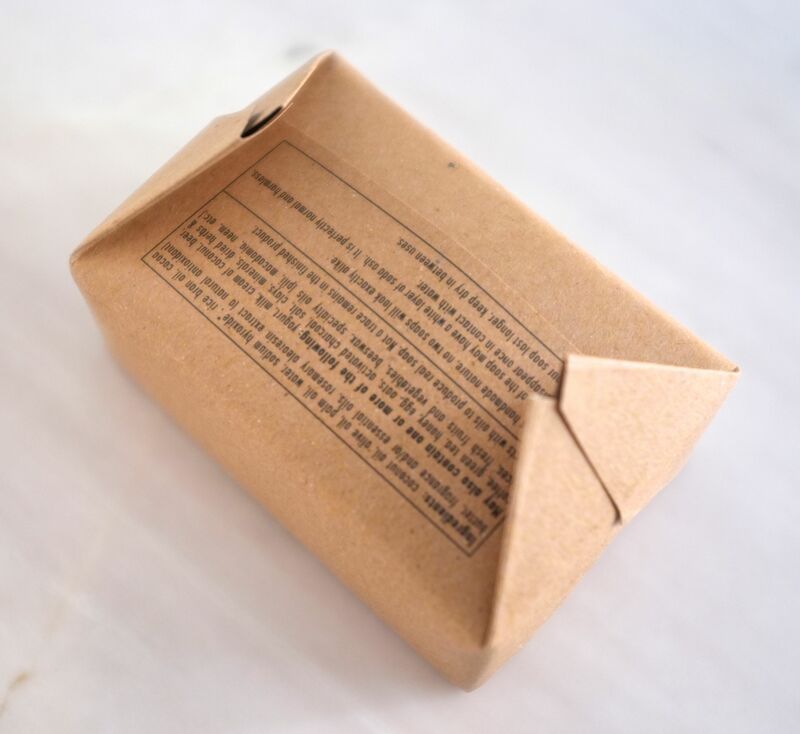 I still have not found the perfect packaging, but for now, the plastic pouch I’ve devised suits my needs. 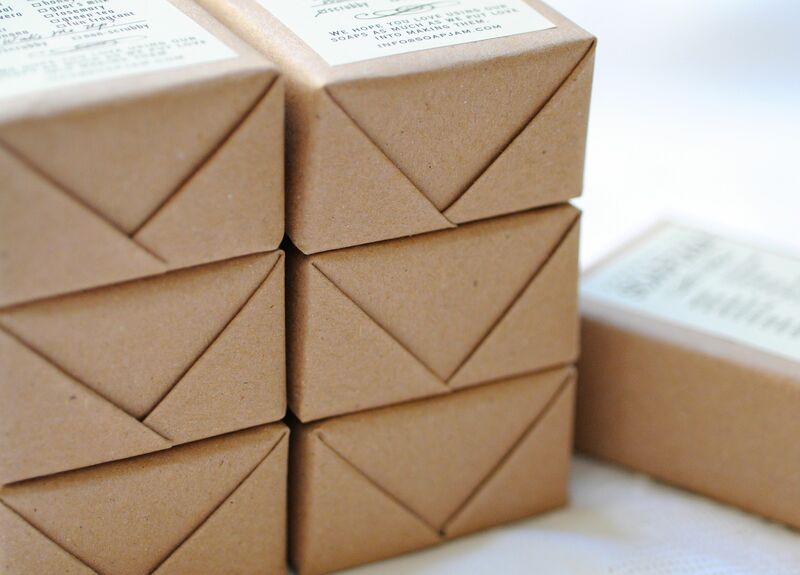 I wanted packaging that would show the soap designs I’ve laboured on, protect the soap from dirt and dust, help retain the scent, allow customers to smell the soap, and that didn’t take too much time and effort. This isn’t as efficient as tapeless paper wrapping, but it checks my other prerequisites, and it’s still tapeless! 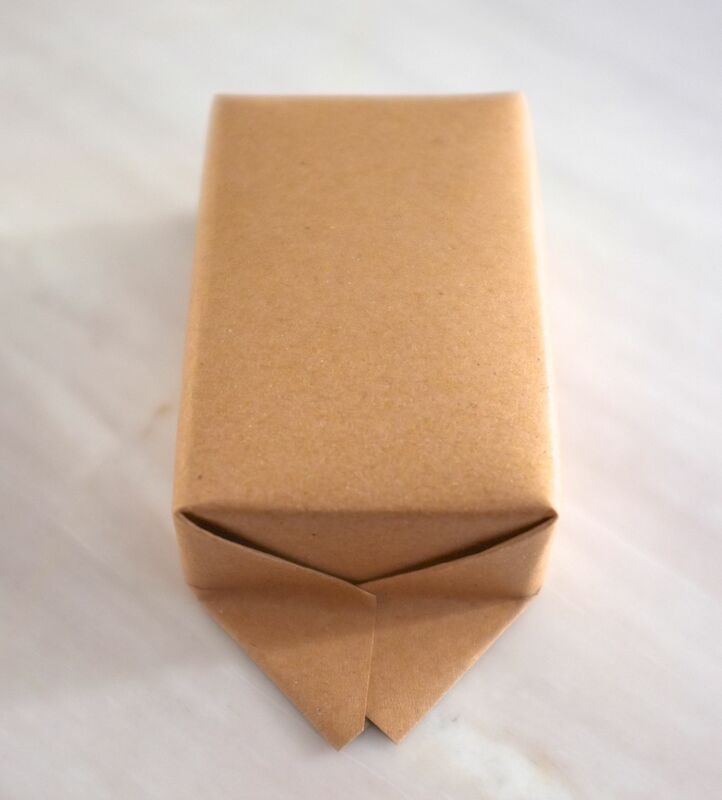 It looks like plastic I just folded over and secured with a paper string, but I actually cut the plastic to make it into the shape of an envelope. 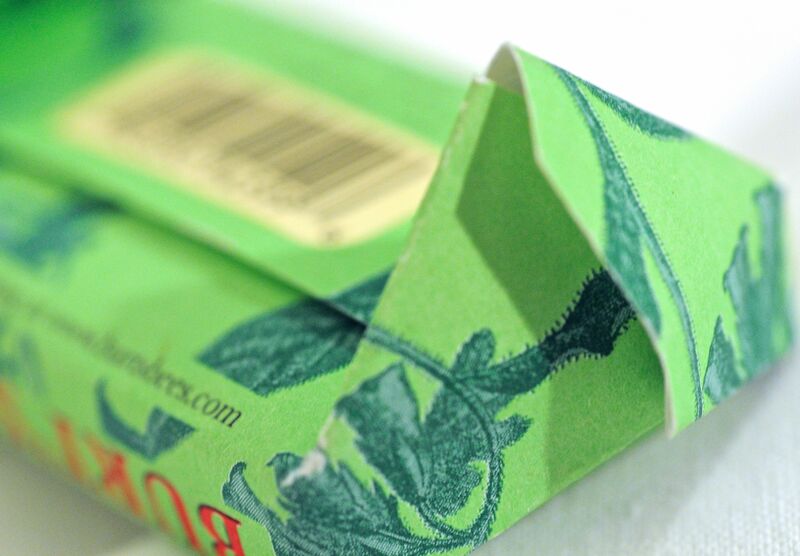 I cut and removed the sides of the top half of the plastic at a slight angle. 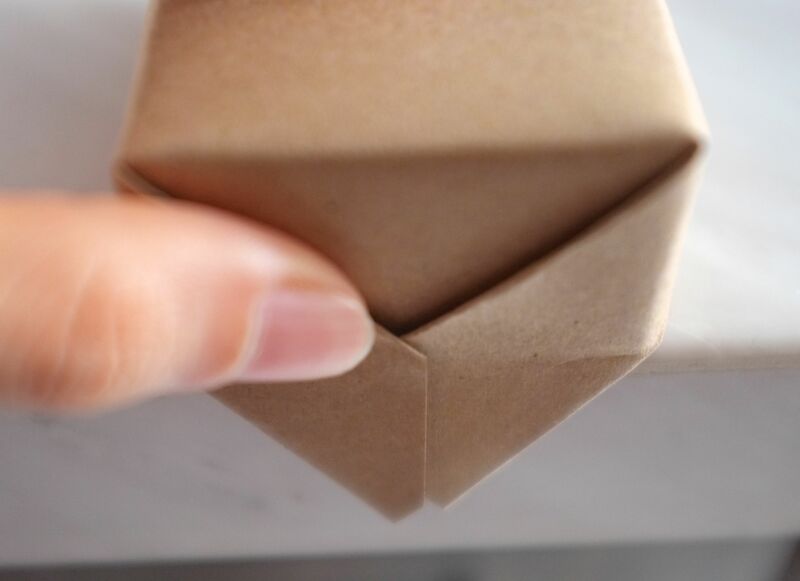 I then folded one of the flaps and cut it out, leaving behind one to close the “envelope”. 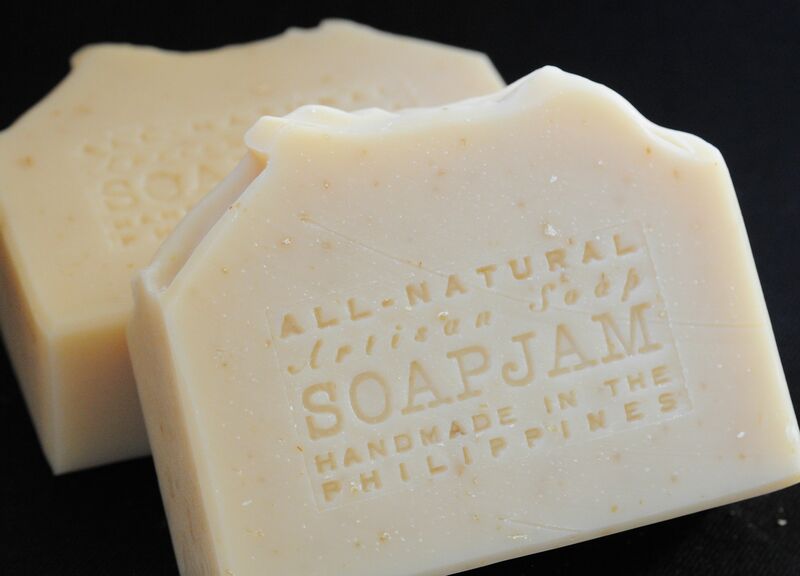 The design leaves a gap on the sides, which allows the soap to breathe and let people smell the soap. 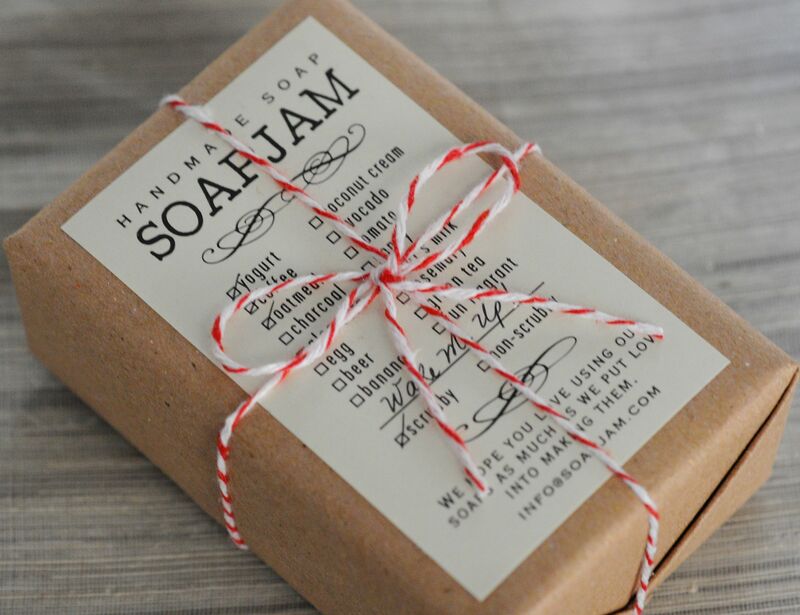 This entry was posted in All-Natural, Cold Process, Packaging and tagged Fir Eucalyptus Soap, Honey Soap, Lavender Soap, Peppermint Soap, Plastic Packaging on May 27, 2014 by soapjam. Have I mentioned that I have such an awesome mother-in-law? Because she is such a great human being, people are naturally drawn to her, and my friends wish she was their mom, even though they love their own mothers. She is the kind of person who celebrates every possible occasion with a gift. 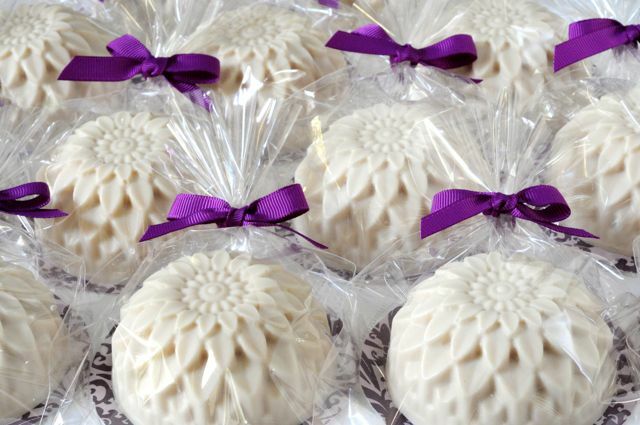 Last month, she already ordered ahead for Valentine’s her favorite chrysanthemum-shaped soap, and a black and white one that’s scented with grapefruit and neroli. I had to stretch out the cups to flatten them, and using a mason jar ring as a guide, I cut-out circles with a paper cutter. 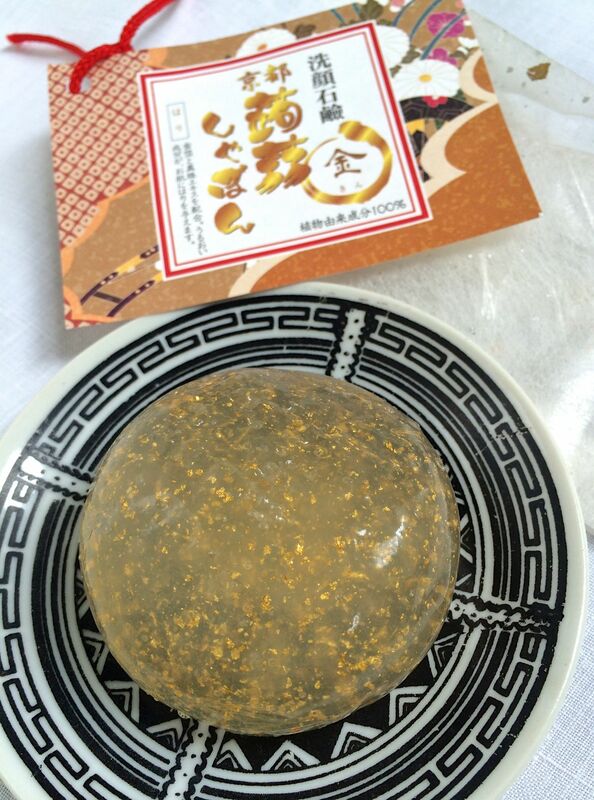 When my friend saw my labor-intensive process, he said that there is a cutter specifically for round shapes. I had no idea! Anyway, i just had to cut 30 pieces, but I did look for that cutter the following day. Sadly, it’s not available in our local stores. 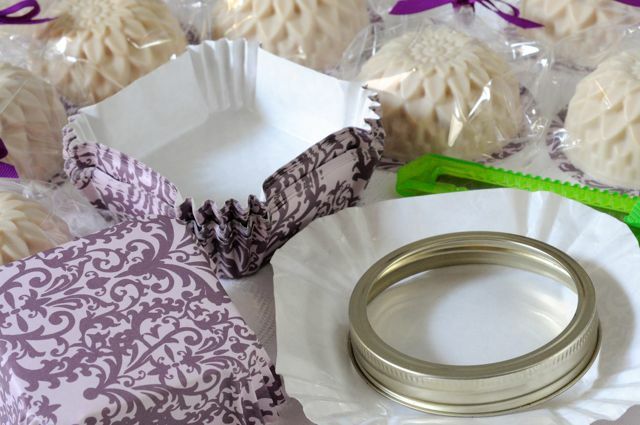 I will have to search where I can find 3.5″ doilies or printed paper boards that I can use as a base for soaps like the ones below. Please let me know if you have a source to share! 🙂 The cut-outs are not perfectly round but I’m quite happy with the way these turned out. 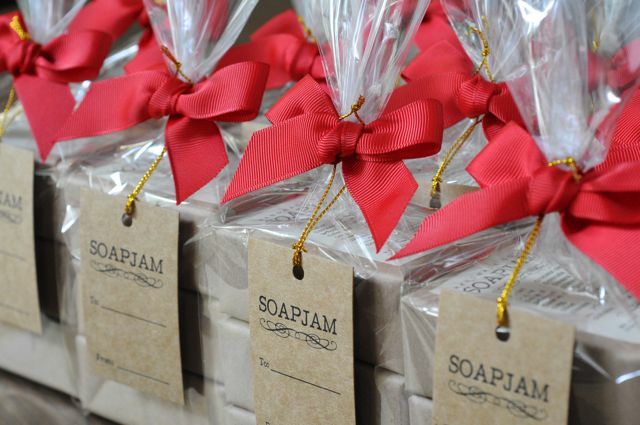 This entry was posted in Cold Process, Packaging and tagged packaging on February 6, 2014 by soapjam. Just wanted to do a quick post on a fun little project my friend and I did last weekend. 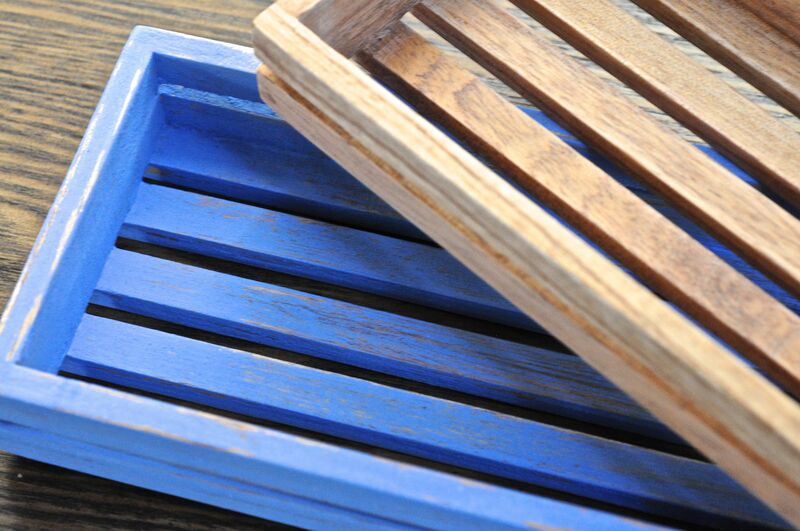 We painted some trays with all-natural, environment friendly Milk Paint. 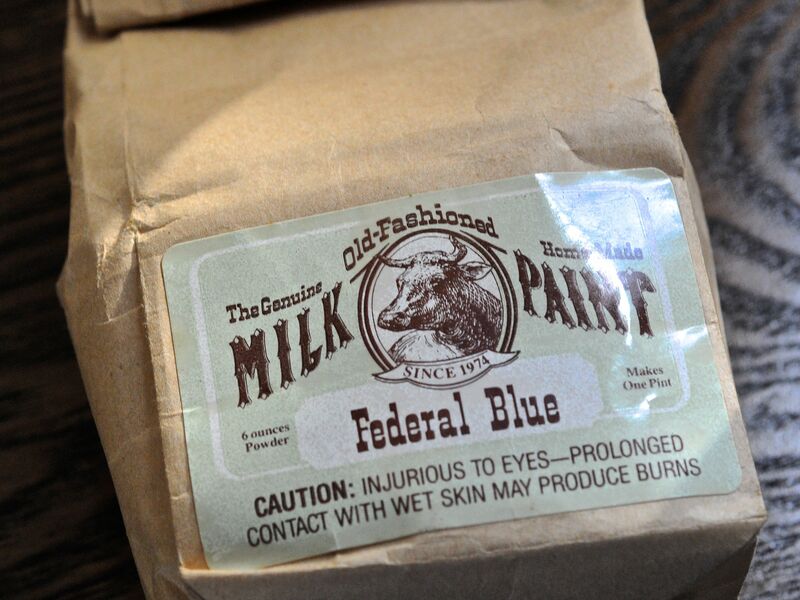 You simply mix the paint powder with an equal amount of warm water, and you’re ready to paint! We just did a few brush strokes on the tray to give it that vintage, rustic feel. A little sanding smoothened it and completed the look. 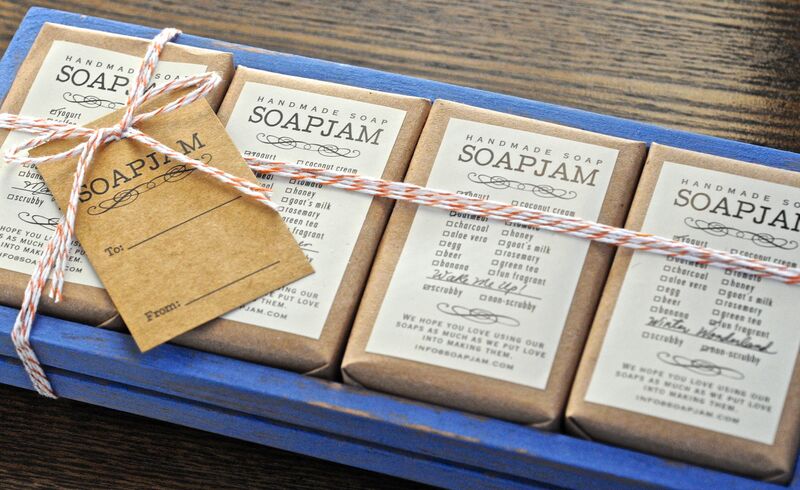 This entry was posted in Others, Packaging and tagged Milk Paint, packaging on December 12, 2013 by soapjam. This year just went by in a blur! 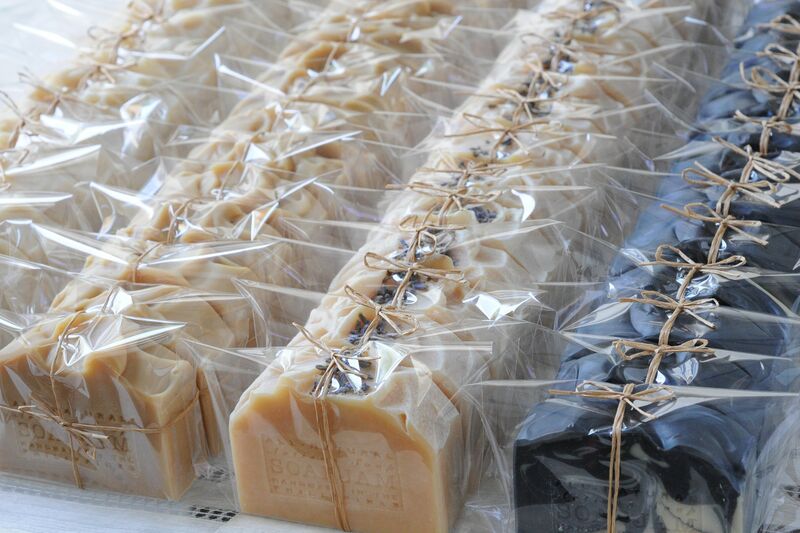 It’s 20 days to Christmas and I still have soaps curing. I soaped practically everyday from end of September to October, hoping I’d be done with Christmas packing before December. 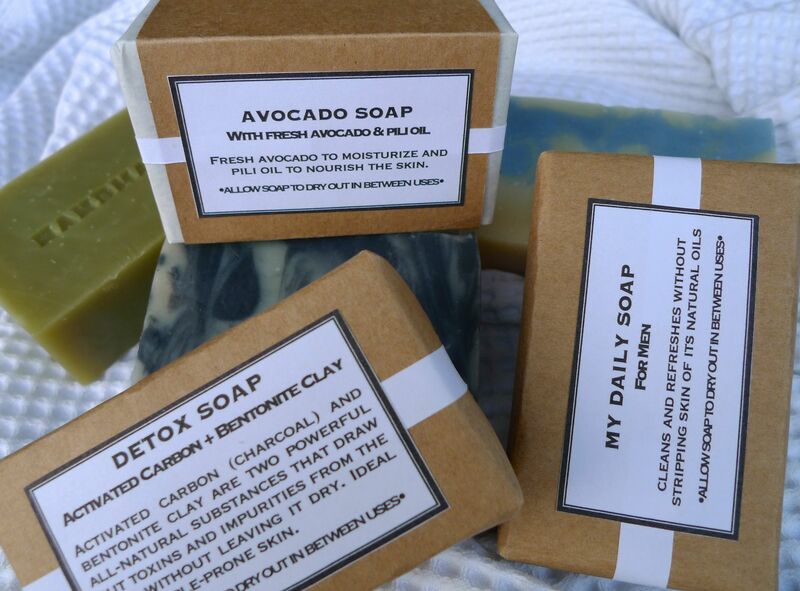 I got a bit delayed because I needed to make more than I anticipated, and I also didn’t soap for nearly 2 weeks in November. 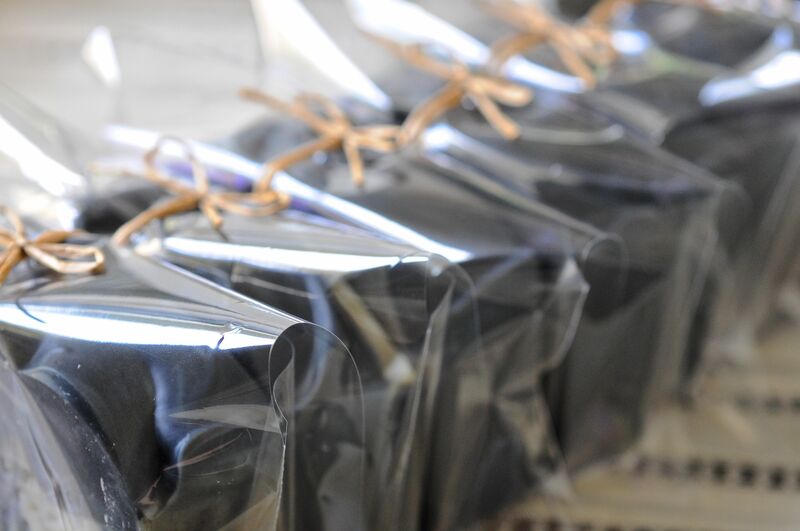 I should be able to complete though everybody’s orders and my personal gift requirements before Christmas. 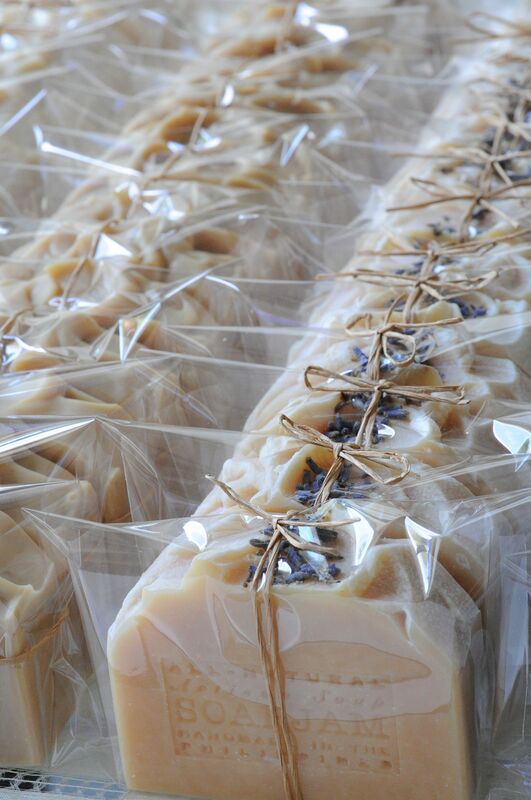 I have not officially started selling soap, but hopefully I can do so next year. 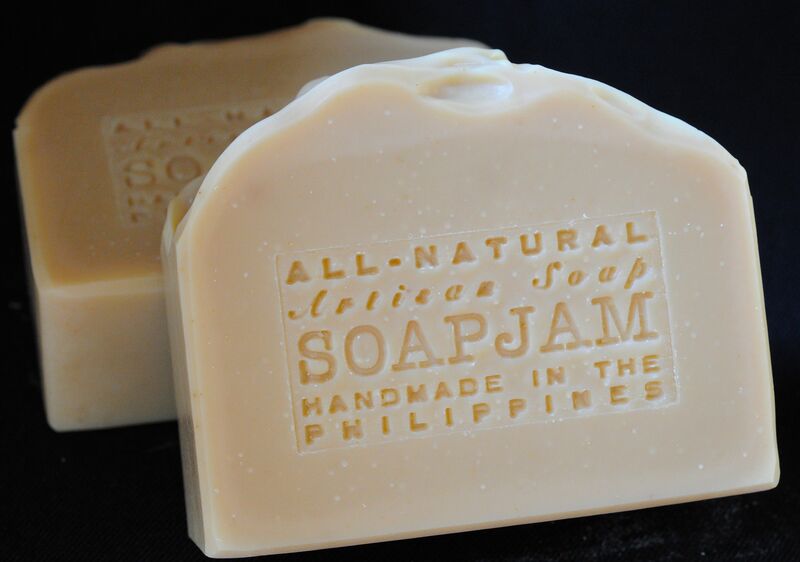 Right now it’s just my family and friends who are supporting my soapy passion. I am most grateful to them for giving me the opportunity to soap to my heart’s content and to improve my skills. 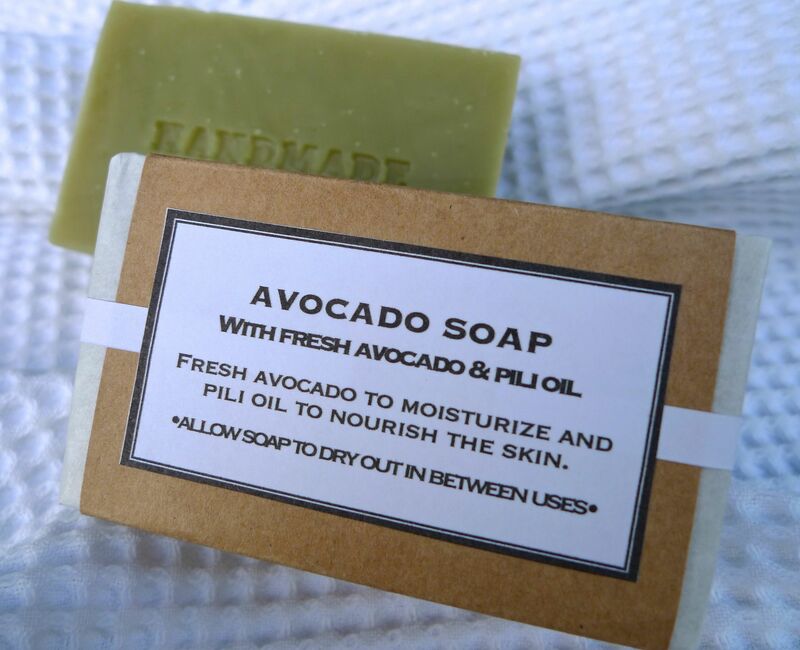 As early as August, my mother-in-law and sister-in-law placed their order for a combined total of 250 3-pack soaps, or 750 bars (they just have that many people to give to!) 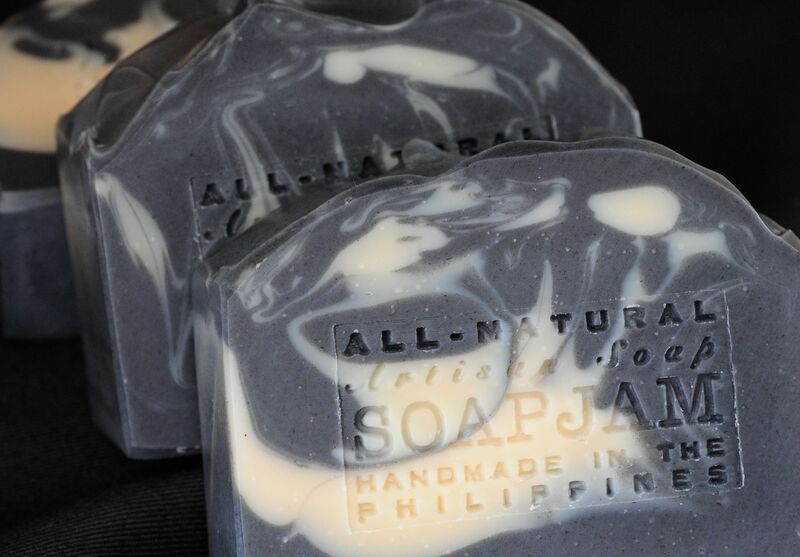 I was able to complete their orders by mid-November, all boxed-up and sent to Manila in batches. 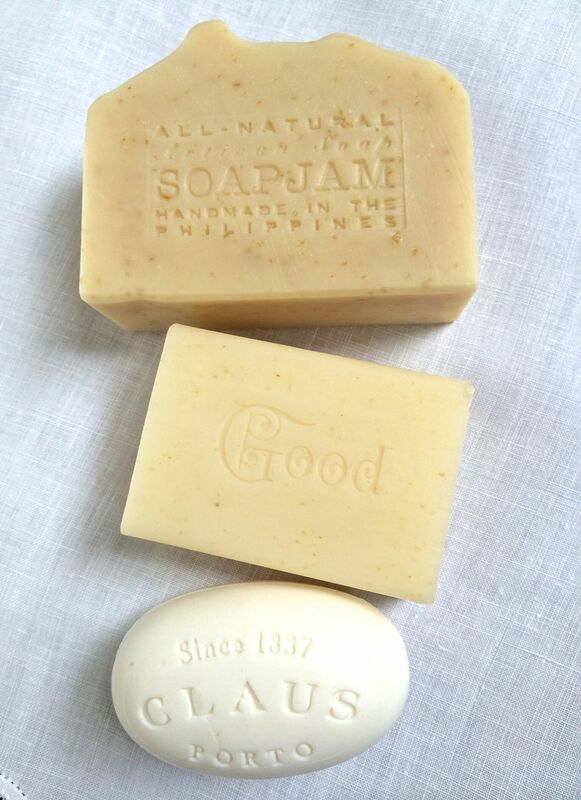 My husband and a good friend were my soap mules (thank you!!!) since they fly between Manila and Cebu regularly. 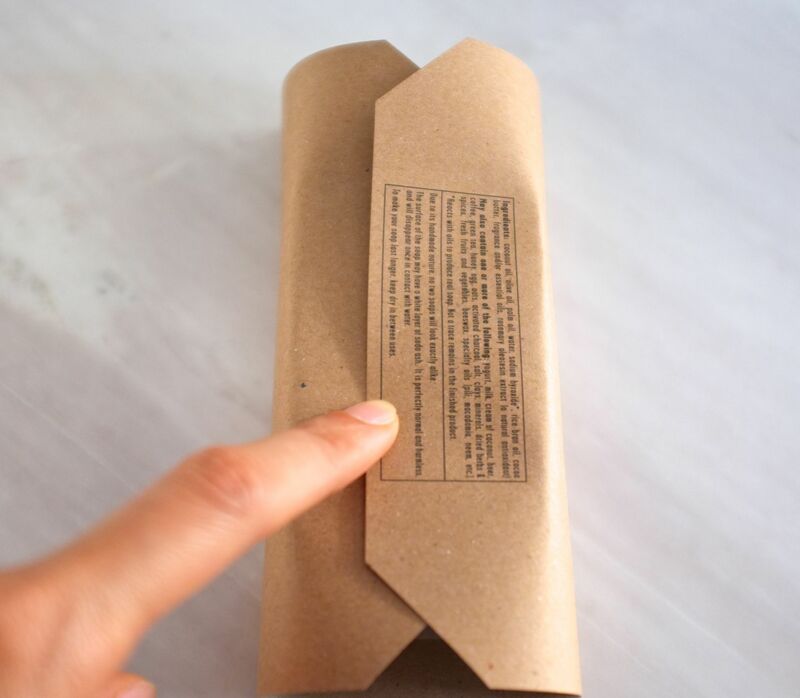 Each pack contains one scrubby, one plain yogurt, and one with design. 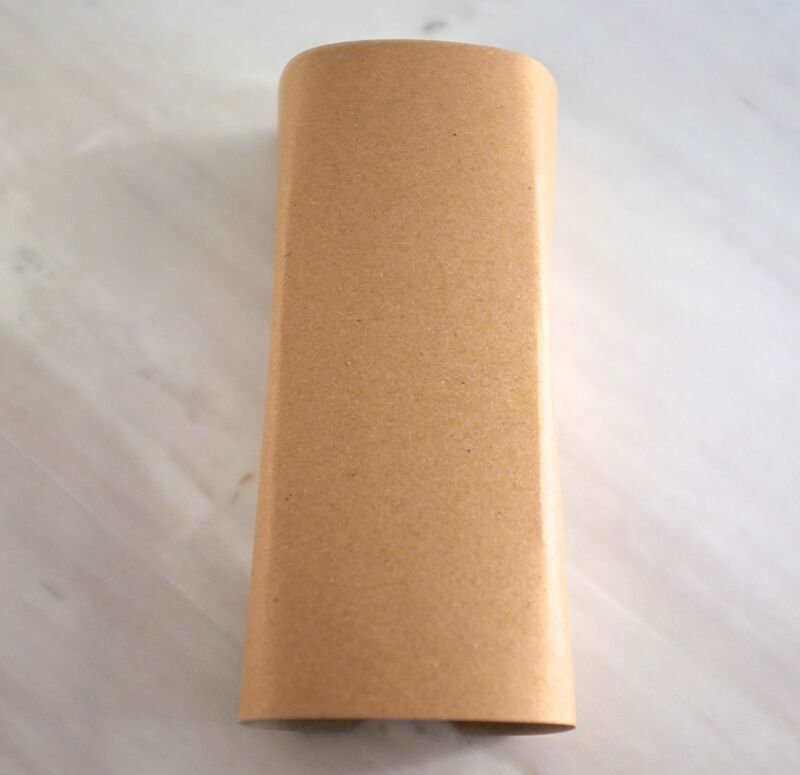 The soap is wrapped with kraft paper and lined with waxy sandwich paper. 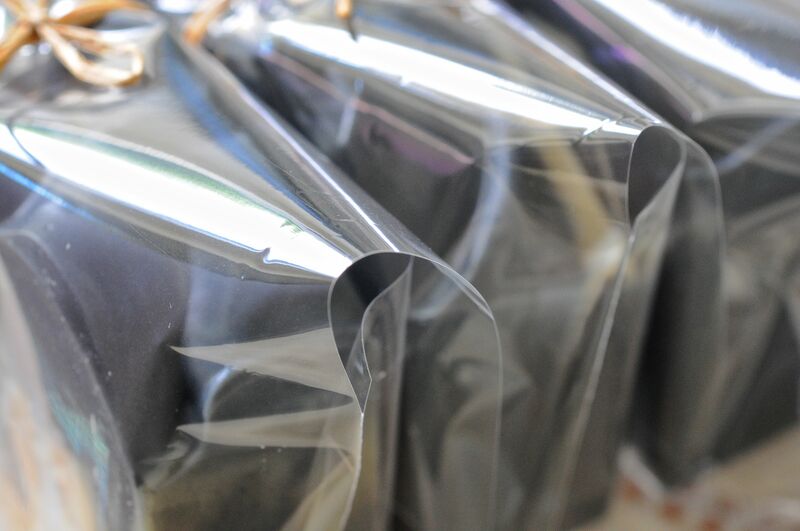 I’ve always disliked using tape in my packaging. 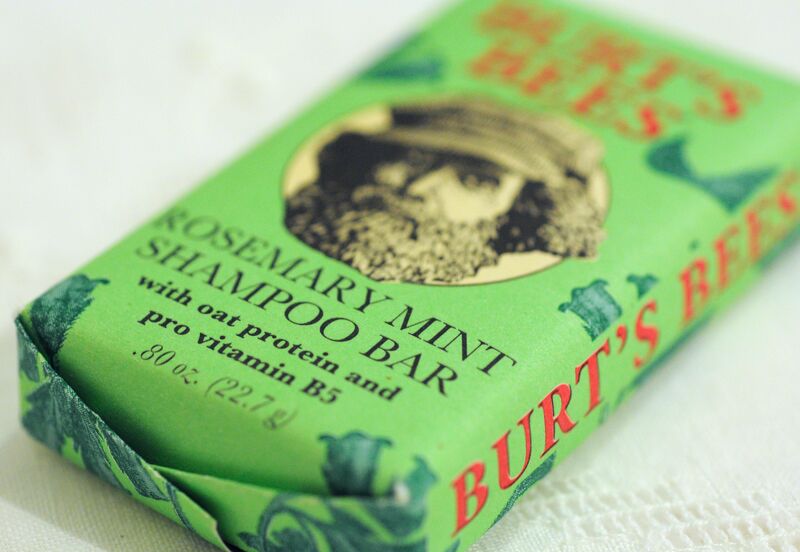 Thanks to my sister who found in her drawer a forgotten Burt’s Bees soap from ages ago, I now know how to wrap soaps in the same neat way, sans tape! 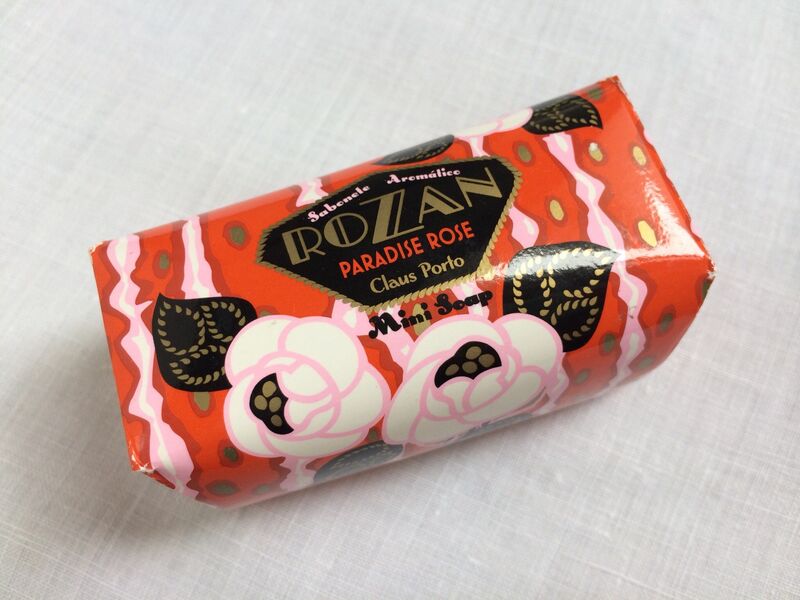 The best part is you can open the package to see the soap inside and fold it back to its original state. 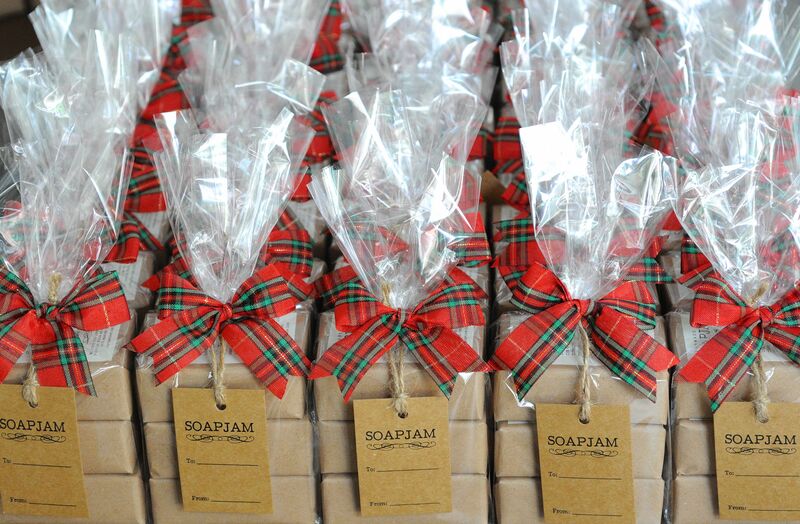 Here are variations for single, trio and quartet Christmas soap packaging. 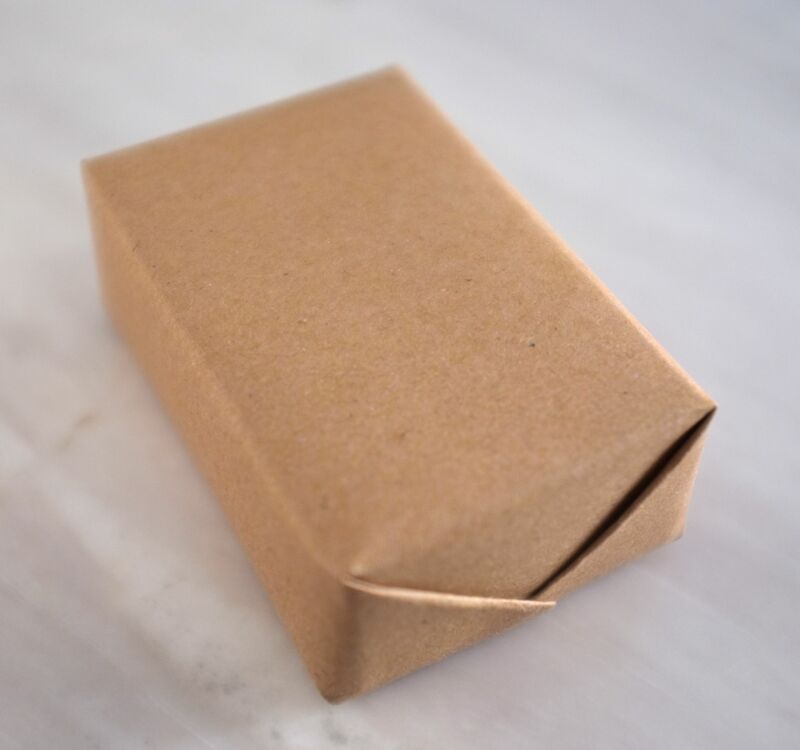 Packaging for a 2-bar set is the same as for the trio. 1. 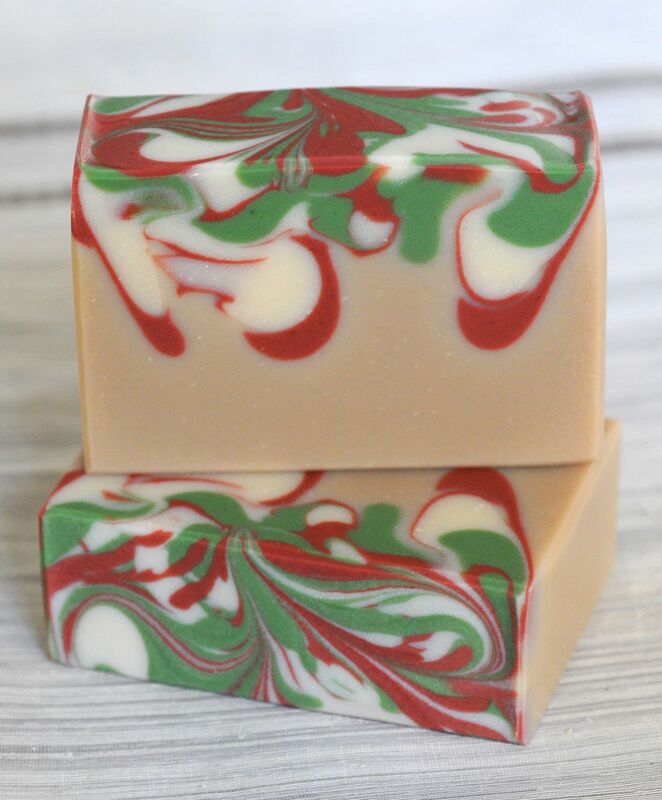 Peppermint Vanilla Noel – I already made a batch of this last October and loved it so much (click here to see the old version). 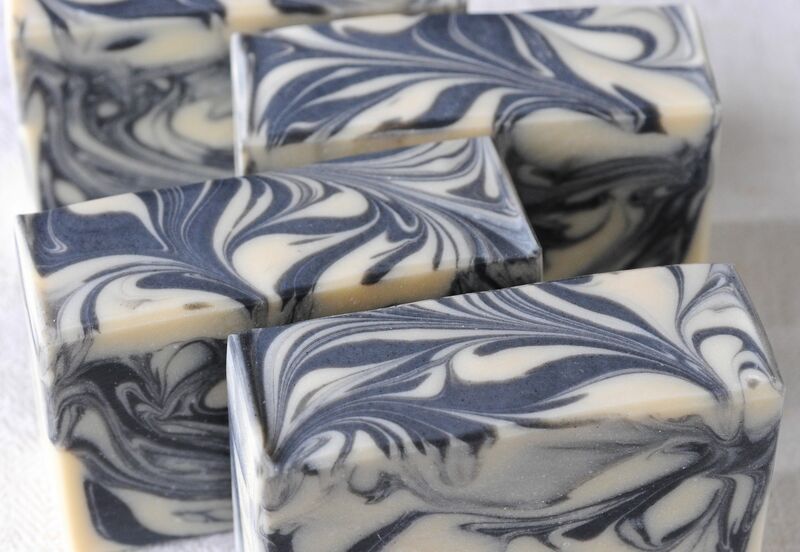 I made several more batches but changed the look to a drop swirl design, which I like a lot better. 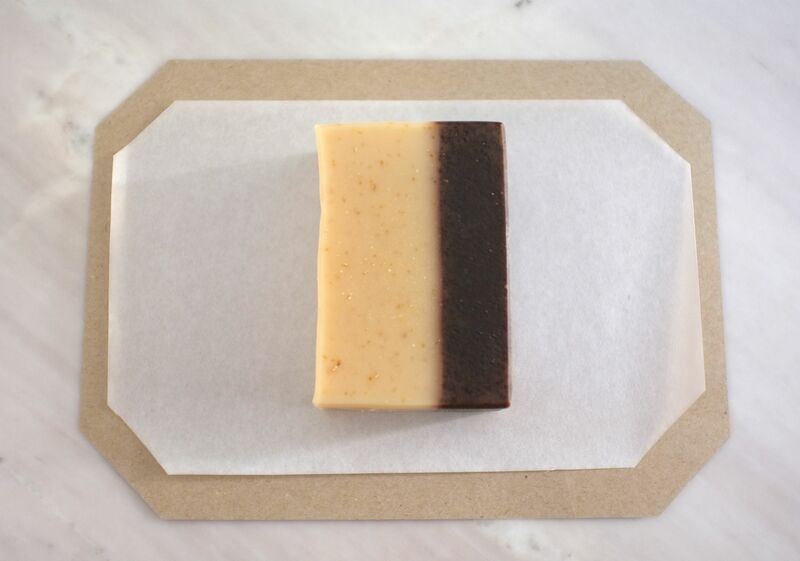 I left the lower vanilla portion uncolored, leaving the vanillin content to naturally turn the soap tan. 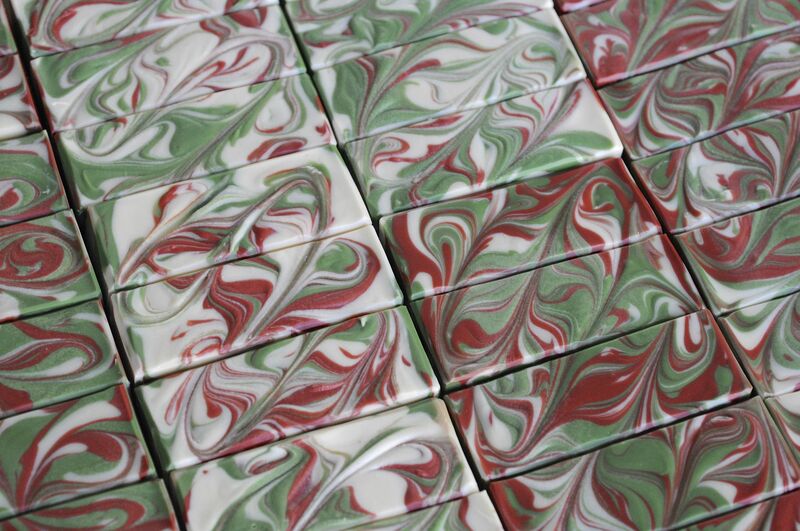 The upper red, green and white were scented with peppermint e.o. 2. 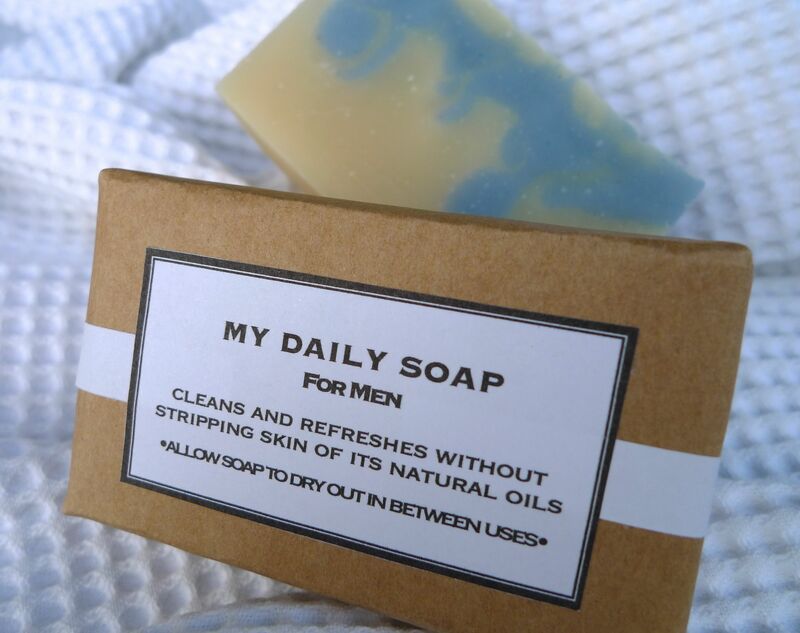 Winter Wonderland – This has a strong, deep, and intoxicating scent – woodsy, tart, spicy, and fruity – a little bit masculine but can also appeal to women. I really like the way this smells! I used burgundy and green chrome oxides and intentionally used less color so that it looks muted. 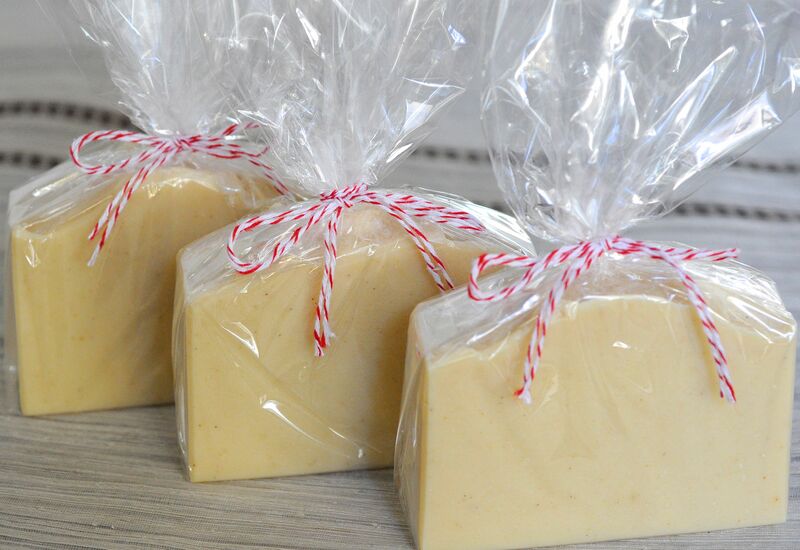 12/8/13 Due to requests, click here for a tutorial on how to wrap soap without tape. 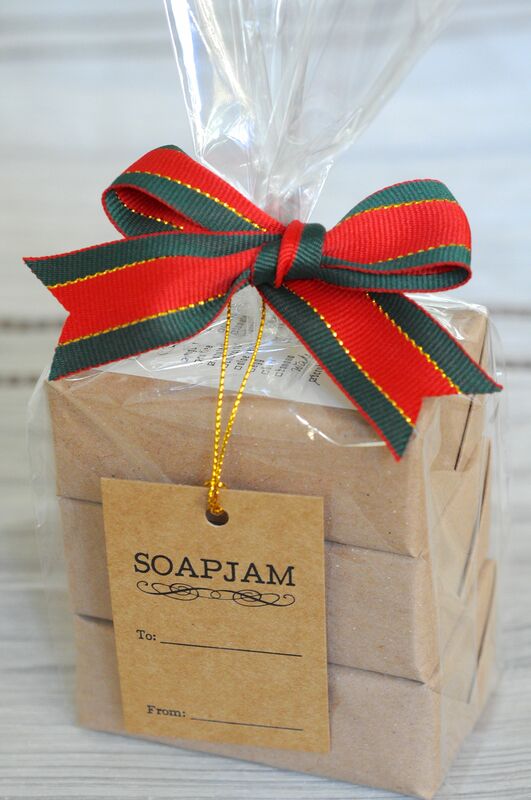 This entry was posted in Cold Process, Packaging, Perfumed Soap and tagged Christmas, packaging on December 5, 2013 by soapjam. 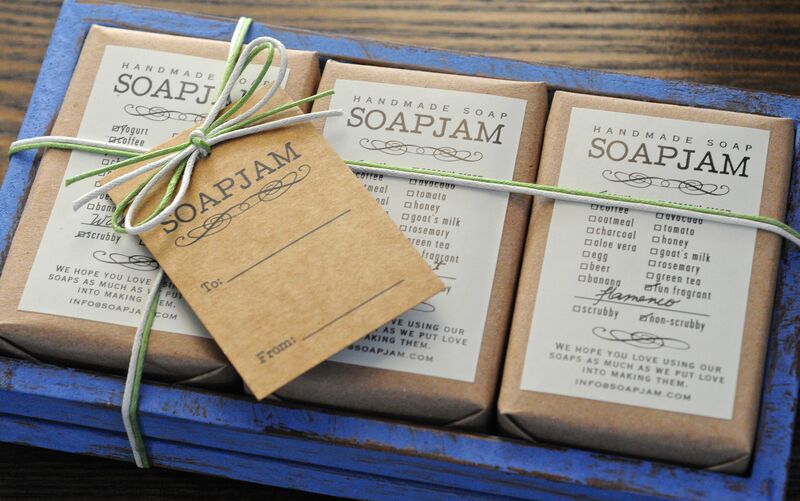 This entry was posted in Packaging and tagged packaging on July 7, 2013 by soapjam. 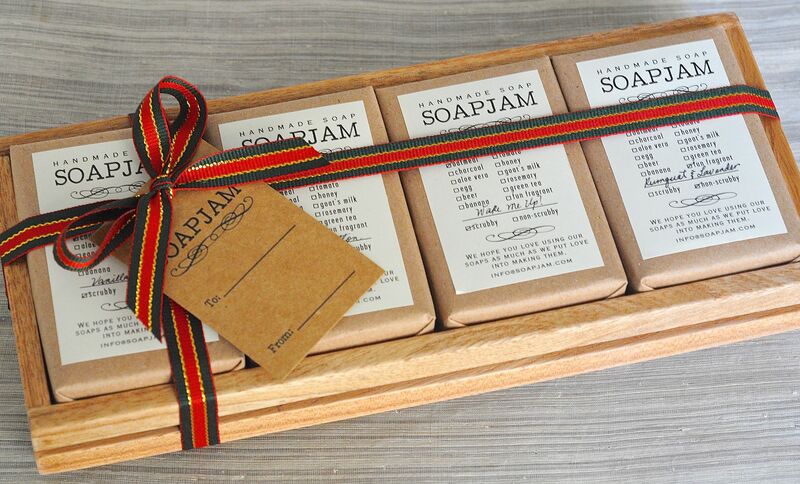 I am still trying to find a nice way to package the soaps as a set. My sister needed a birthday gift for a friend so I quickly put together this set, using a porcelain tray that holds 4 bars perfectly. 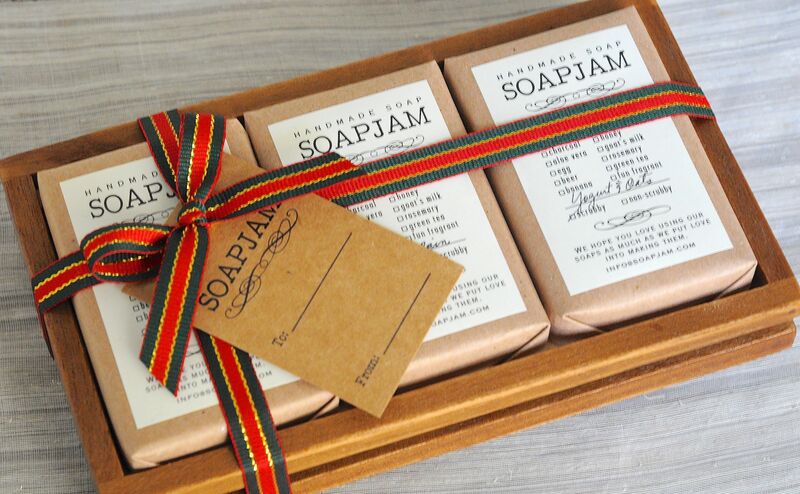 This entry was posted in Packaging on July 5, 2013 by soapjam.